Vehicle Wraps are becoming more popular because people are realizing the tremendous value in a vehicle wraps verses other avenues of marketing. Another reason why people are choosing vehicle wraps is because in addition to advertising: the vinyl wrap protects your investment by keeping your paint fresh and new, which will increase your resale value. We are all drawn to a unique vehicle wrap design, but what does it take to make one? A good vehicle wrap is not cheap by no means so it is key that you get your design right. A vehicle wrap is a big feat for your company and organization, and it is important to know some helpful tips that will make your vehicle wrap design a complete success. Communication is key when it comes to getting everything you want from your vehicle wrap design. At Wrap It Up, you can sit down with an experienced designer and go over every element of your design. During these meetings, you should let them know everything that is vital to your business: Logo, color, slogans, values, achievements, and any other elements that you feel will help the designer grasp an understanding of what you want your wrap design to portray. With communication, it is important that you ask questions and get a feel of what your designer thinks will work. Trust your designer they have vital experience that will surely make your wrap stand out among others. Planning and measuring is the next key element of a vehicle wrap design. Make sure you bring in your vehicle when you meet with your designer so they can make you aware of any problem areas you may have been unaware of. If you plan on making modifications that may obstruct a certain area, make sure you let them know, so the designer can work around that area avoiding placing vital info there. With a vehicle wrap it is important that you are clear and concise about what you want to say. This is extremely important when it comes to mobile marketing, because you and your viewers will be traveling over 70 miles an hour. When it comes to designing a moving billboard its key to not overload the viewer with unnecessary visual road blocks. Our design team will draw your viewer in with a unique vehicle wrap design, but will make sure they can easily navigate key elements to your company. You must keep your design simple, although It can be hard because you are very passionate about your business and you want to educate the viewer. Overload of info, or coolness can pull the viewer away from knowing the who, what, and where of your company. I left out when and why because that can easily be found on your website by the where in your design. Pay attention when you are driving and see how hard it is to pull and abundance of information of a billboard or an overly designed vehicle wrap. Over designing will do you a disservice by losing valuable interest in your company, or organization. 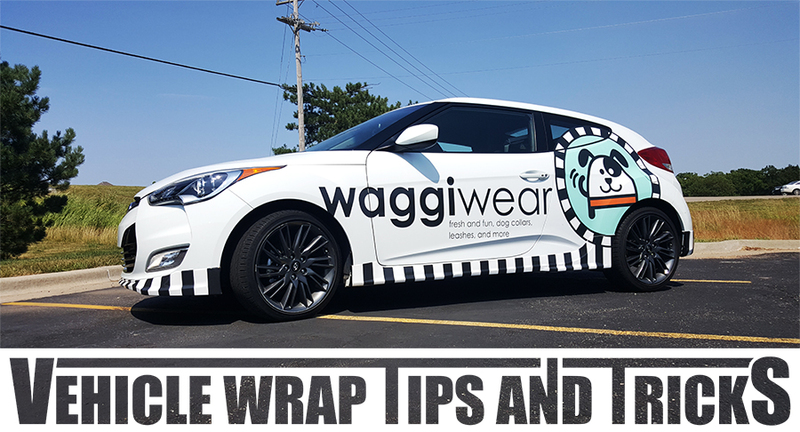 At Wrap It Up we mock up the design to your vehicle and allow you to see it from every angle before it is printed. During this time make sure you voice your opinion about the layout and feel of the design. Once the design is confirmed we will print of a color proof so you can see the colors on the actual material that will be placed on your vehicle. We can adjust the color to get you the look and feel that you are comfortable with. Make sure you keep that color proof because with branding constancy is key, and you can have other companies match their colors to your vehicle proof. Designing a vehicle wrap seems simple, but it is not that simple, because there are many elements to take in account when it comes to a vehicle wrap. With our experienced staff, we will be sure to send your vehicle wrap design down the road of success.